Sunsets remind me of Psalm 19, when David writes; “How clearly the sky reveals God’s glory … no speech or words are used, no sound is heard; Yet their message goes out to all the world and is heard to the ends of the earth”. Have you ever considered that your life is supposed to send this same message? 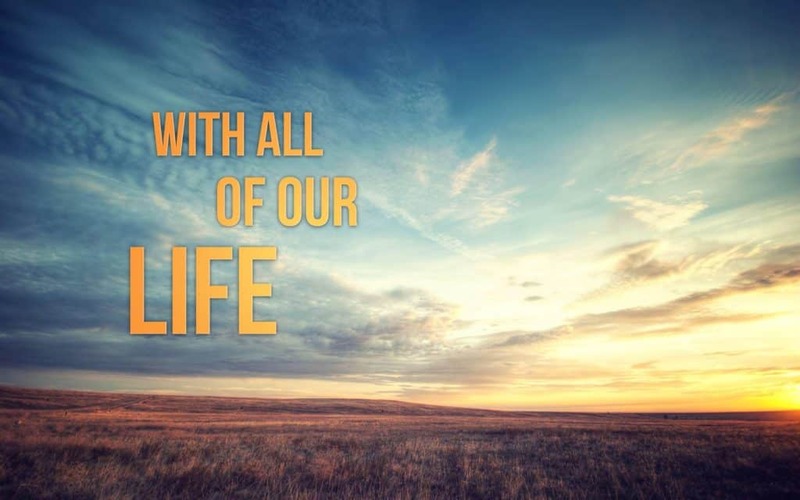 In several places in the Bible we’re told to love God with “… all our soul”, a phrase that uses the Hebrew word nephesh which means “soul” and also means “life”, so we’re supposed to love God WITH all our life FOR all our life. This is not loving Him for an hour each week at church – it’s loving Him in everything we do in every minute of every day. If you never spoke another word, would the way you live your life glorify God before the world? What a great heart check. Love the Lord your God with All of your LIFE! Will people know of God’s power and glory through the way we live our everyday lives. The way we live our lives, the attitudes we decide to wear, the church services we go to, our own private worship time with the Lord, the way we treat our spouses and children, the way we love and forgive, and the way we allow our hearts to yield to the guiding of the Holy Spirit – they are all a message and a song in motion each and every day to our heavenly FATHER. Lord, help us never to forget to live our life on purpose to always bring honor and glory to your name. To live life loving you with all of our “souls “, all of our “NEPHESH”, all of our LIFE.